Anyone who owns a business website, whether it is a blog or an online store, is concerned with one thing – traffic. It gives your brand the attention and more importantly, convert readers into customers. In order to generate traffic, one needs content and in order to create content, one needs to learn how to find the right keywords for SEO. It’s a tedious process, but there’s a system in place to help you get there, so let me walk you through this step-by-step. It is basically a keyword selection strategy that looks into the search volume (market demand) and the search results (market competition) to determine which keywords that can potentially put you on the first page of Google. Why is this important? Well, 75% of users never scroll past the first page, so if you are in page two and beyond, your traffic is going to be measly or none. The top 10 spots is where you want to be; if you can land on the top 3, even better. Of course, there are other factors that can affect this ranking position, such as on-page and off-page SEO, but the crucial element is still your keyword choices. Before we go any further, let’s see what defines a ‘good’ keyword. 1) The context of the words has to be relevant to the subject matter of the niche. For example, in a cooking niche, you want to be using words like spices, vegetables and recipes. On the other hand, in an automotive niche, words like engine oil, used car or dealer would make sense. I know this sounds rudimentary, but I’ve seen time and again where new sites would just use keywords that are completely irrelevant to their targeted audience and it makes me wonder why. 2) Focus on 4 word count or more so that the keyphrase sounds more specific. It has been shown that user’s queries are becoming more elaborated these days and people are typing in longer sentences to get their information online. So instead of using a broad word like ‘red apple’ people are actually asking things like ‘how many calories in a red apple’ which can offer them more insights. Likewise, a longer keyword structure also helps you to write articles that people actually want to read. 3) The meaning of the words should clearly display a user intent instead of one that is subjected to different/vague interpretations. People go online these days to search for information specifically that helps to solve a problem, get things done or explore ideas. So think along these these scenarios when you are filtering the keywords. 4) Besides the user intent, remember that you are also running an online business and your content should have some kind of information that appeal to audiences who are in the comparison and purchasing stages. Using words like discount, review and how to makes it easier to promote them something without having to do the hard selling. 5) Lastly, use keywords that have low competition/difficulty and for that purpose, you’ll need to use a keyword tool to analyze some data. There are both free and paid tools that you can use, but keep in mind that each company has their own way of processing this data. Also note that no tools are going to guarantee ‘accurate’ results because these figures change on a daily basis as more web pages are being added to the internet and new keywords are being discovered. Hence, your choice of tool very much depends on what you need and how much budget you have. With that, let’s see what are some of the popular keyword tools out there. The Google Keyword Planner is probably one of the most widely used program for researching keywords, especially if you are targeting a certain location. You can easily access the tool by creating an Adword account and run a few searches to see what are the popular keywords in your niche. However, the ‘competition’ metric isn’t reliable for SEO because it only shows how many advertisers are bidding for their ads and that has nothing to do with (organic) ranking difficulty. As such, it serves very little purpose for you. If you are serious about ranking on Google, paid tools are something to consider because they have the technology to analyze data from various angles thus giving you a better estimate on the keyword competition. 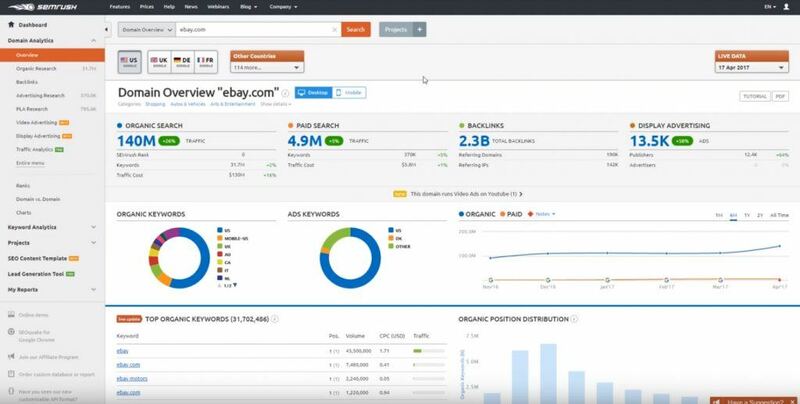 SEMRush is a keyword suite that has been in the market for a while. They churn out a lot of comprehensive data and is geared towards heavy and experienced users. Another premium tool which produce one of the largest amount of keyword suggestions, especially long tail variations and has some unique metrics that most competitors don’t. Pricing plans – (Monthly) Lite $99, Standard $179, Advanced $399 and Agency $999; annual plans get 2 months for free. 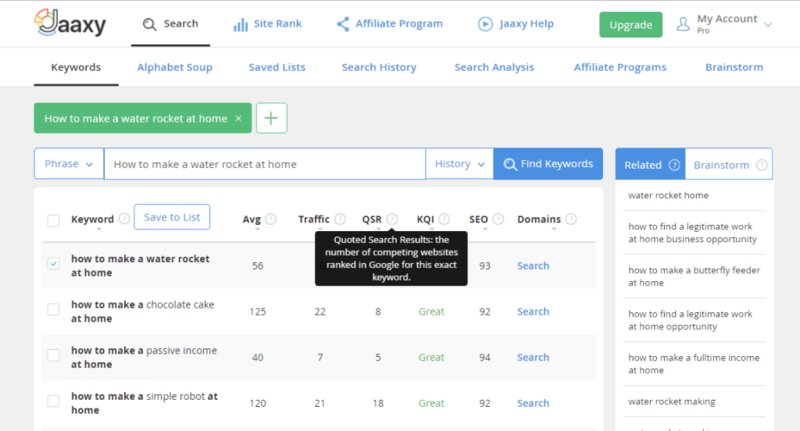 A tool that is built solely for analyzing keyword SEO, Jaaxy is a software that integrates with the Wealthy Affiliate training platform. As you can see, the interface is less complicated (no graphs, no stats) and it is most suitable for beginners to intermediate users. If you like to give Jaaxy a try, just enter a keyword below to run a free search. Using the right keywords AND optimizing them for SEO can reward your site with a lot of traffic. To prove my point, here’s a snapshot of my traffic sources for January 2018. As you can see, it contributes the biggest percentage and best of all, it’s free. Of course, this number didn’t just generate by itself overnight. It takes time and effort in mapping out the keywords that are most relevant to my niche AND creating boatload of content with it. Along the process, my website gets ranked for more keywords that I never would have thought of and that is how the traffic gradually piles up. When you first enter the scene, it may seem impossible to rank for anything or triumph over the big guys, and that’s only natural because your website is still new. It certainly doesn’t dictate that you’ll never rank at all. The good thing about organic traffic is that there’s always new keyword opportunities to tap into. 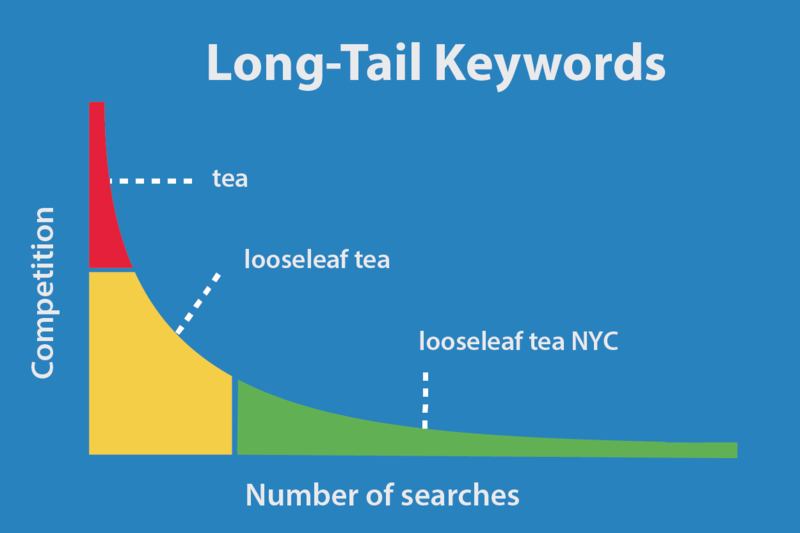 You see, as more people use Google to search for specific things in their daily lives, new long-tail keywords are being ‘discovered’ every day. Each of them carries a potential for your content to promote a new idea, a service or a product to a new set of audience. This ‘search evolution’ will never stop for as long as there is the internet and it is only going to get better as you learn how to find the right keywords for SEO by using the criteria and tools that I’ve just shared. I trust that this article has been beneficial in helping you understand the fundamental of keyword research. If you wish to learn more about content marketing skills and tips for ranking on Google, do check out my recommended online training platform here. Questions – Do you have any questions about doing keyword research? Please leave your comment in the space below and I’ll be more than happy to help. You make some really good points in regards to keyword research here. I think sometimes people get too caught up on the metrics of the word (how many searches it gets vs how competitive it is) – that they forget that who they are ultimately writing for is real people. Like you said, it’s important to find keywords that make sense, and more so, have clear intent or purpose behind them. This will help not only with traffic, but also get more conversions. Hey Cathy. SEO is very important for anyone wanting to earn money from their website. I’m glad you provided some helpful information that will help give my website a boost. Typically, how long does it take for a website to get ranked on Google? I appreciate any insight you have on this subject. Hi Matt, it typically takes anywhere between 1 to 6 months to rank on the first page of Google. In very competitive niches, it could take longer. However, what seems to work most the time, based on my experience with the Jaaxy Site Rank is that, more content (article length and comment engagement) will generally push my article rankings higher. Hello, I have been trying to figure this out for the last two months. I use Jaxxy which is a great app, but I still don’t see my website in the page results even though Jaxxy says the competition is well below 30 websites (QSR). Some of my posts are still not indexed in google — so its quite frustrating. I am new to this and maybe I just have to be patient as you stated in your post. Traffic is everything so I guess I am just a bit anxious. Is it enough to just get the right keywords or do I need to do something else? Hi Dwyan. 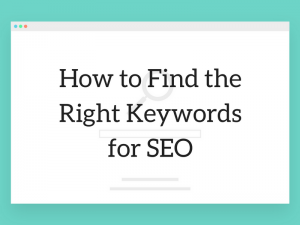 Finding the right keywords is just one part of the process. 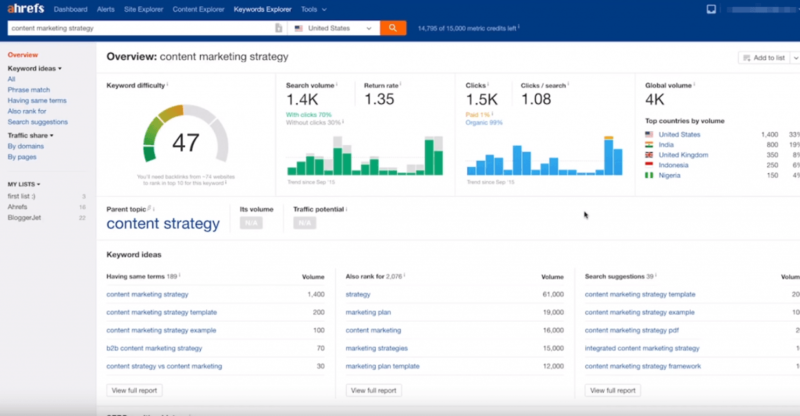 You also need to do some competition analysis to see how the keywords can be implemented – on site and off site – to outrank the top 10 on the first page of Google. If you like to learn more about improving your SEO, I would recommend to watch Jay’s SEO Strategies training here. Very useful article for a beginner like me. I have been using Jaaxy Lite for keyword research and planning to upgrade to Jaaxy Pro. But I’m not earning yet. Is it worth to upgrade or at what point one should I make use of the Pro version? Hi Apoorva, if budget is a concern, you can always wait. 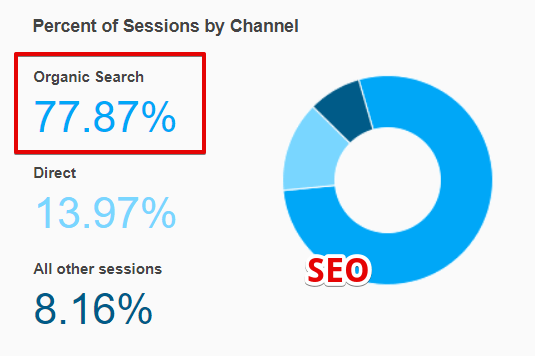 The main differences is the SiteRank and Search analysis. Once your traffic has reached a level where you need to examine these metrics, it’s never too late to upgrade. Thank you for this useful information on keyword research. Just what I need. I do have a question. Do you take keyword density into consideration and how do juggle that with writing freely and naturally. I find it hard sometimes. Thanks. It’s not always the easiest when you are first starting out, especially if you are not use to writing things. But with practice, it becomes easier. Nowadays, I write as if I am talking to someone – in this case, ‘talking’ to the screen in front of me. If I am still stuck, I would write on a notebook and then transport the ideas onto the PC. For some reasons, holding a pen and paper allow my thoughts and words to pour out more fluently. I don’t take into account in regards to keyword density. My targeted keywords are usually in the first paragraph and if I get the chance, in the closing summary. That’s about it.